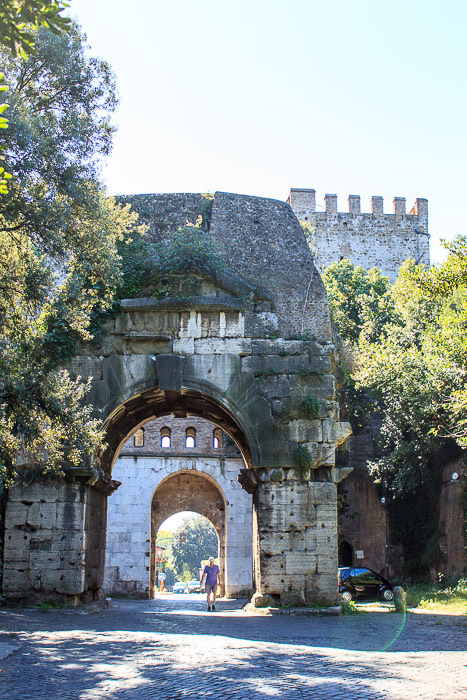 The Arch of Drusus is an ancient arch built in the 3rd century, next to the Porta San Sebastiano on the Appian Way. It was once a triple arch built of travertine, faced with white marble, and decorated with columns of Numidian marble, but only the central arch remains today. Traffic still flows under the arch. 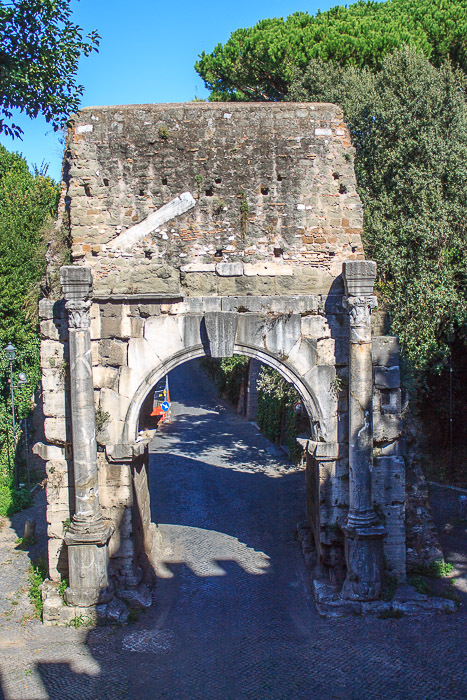 A branch of the Aqua Marcia named the Aqua Antoniniana once ran over this arch. 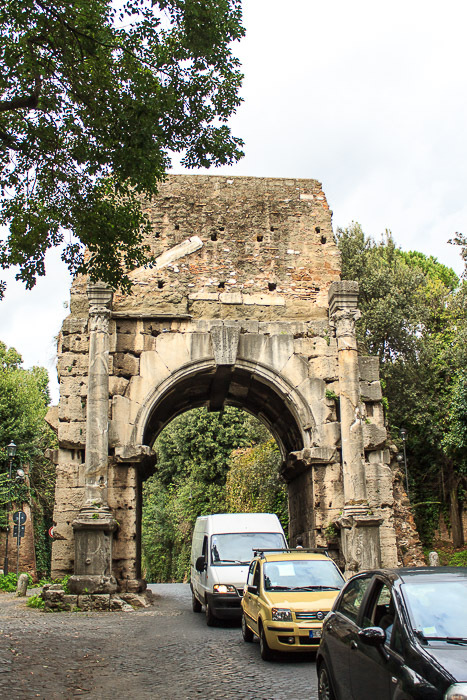 This branch was constructed by Caracalla to supply water to the Baths of Caracalla. 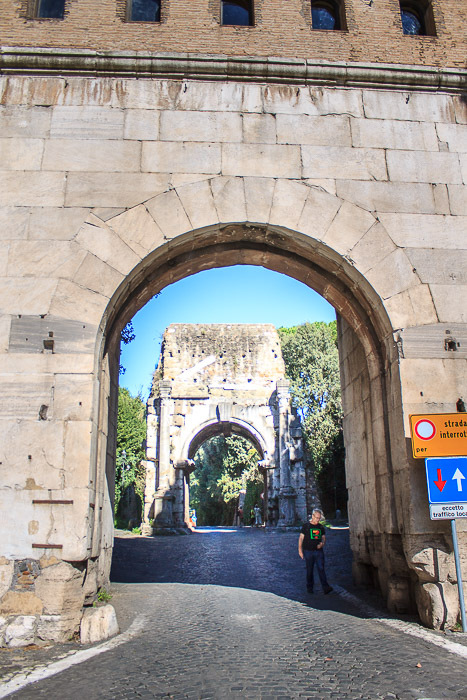 The arch had nothing to do with Nero Claudius Drusus. See all Arch of Drusus photos.